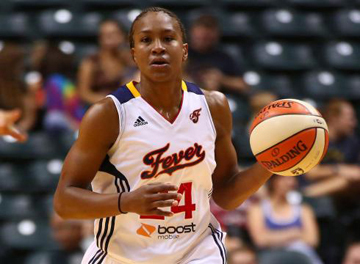 Connecticut’s Tina Charles was the leading vote-getter for the All-WNBA team, and Indiana’s Tamika Catchings earned her seventh first-team selection. Catchings, a first-team pick for the fourth straight season, tied Seattle's Lauren Jackson and Phoenix's Diana Taurasi for second place on the career list with seven selections to the first team. Former Los Angeles star Lisa Leslie is the leader with eight. Charles, who won her first MVP award, received 196 points from a national panel of writers and broadcasters. Joining Charles and Catchings on the first team were the Sparks’ Candace Parker, New York's Cappie Pondexter and Minnesota's Seimone Augustus. The Lynx’s Maya Moore and Lindsay Whalen were selected to the second team, along with Chicago’s Sylvia Fowles, Los Angeles’ Kristi Toliver and San Antonio’s Sophia Young.